Stainless Steel Posts are used to suspend bird wire. 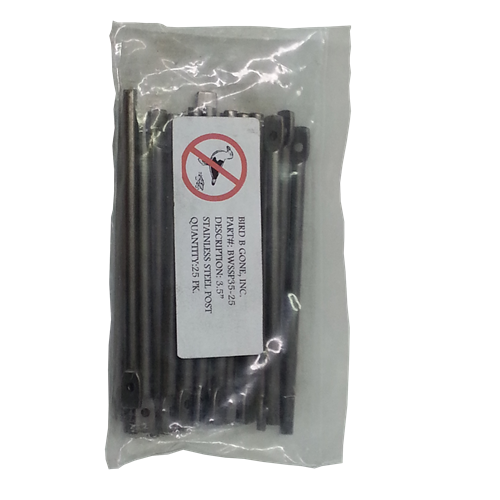 4 mm diameter, 316 marine grade stainless steel posts. Ends are beveled to aid installation into either the anchor rivet or glue on base.